Next stop on our CES 2017 tour brought us to Patriot, where we got to check out their upcoming Viper gaming peripherals and some nifty high capacity flash drives. Though perhaps better known for SSD’s and memory, Patriot had a ton of success with their gaming devices since expanding to that area. 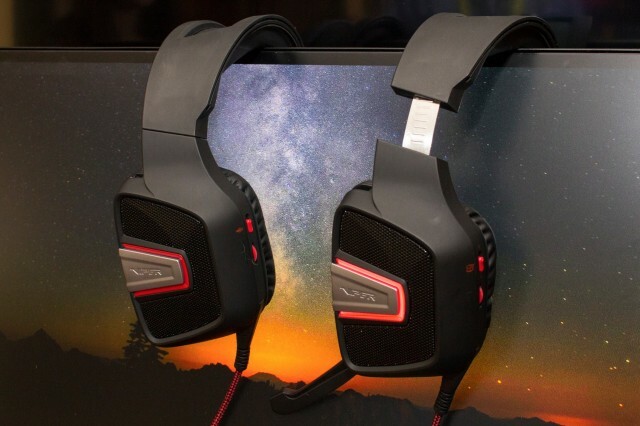 This week, Patriot unleashed three new affordable headsets to span the entry level to enthusiast consumers in the V330, V361, and V370 RGB headsets. Starting at the very top of the lineup, the V370 RGB and V361 offer 7.1 virtual surround sound with 40mm neodymium drivers and a 30mm sub-driver. Both connect via gold-plated USB and come with software to fine tune lighting effects and sound levels. Each offer a switch to enable Ultra Bass Response (UBR), which activates the two 30mm sub-drivers to enhance your in-game experience. The V330 is a stereo headset geared more towards the entry-level segment. All three will be available around the beginning of February. MSRP will be $69.99 for the V370, $49.99 for the V351, and $39.99 for the V330. Two new keyboards were also announced this week, which should be available in Q2. The high-end Viper V770 RGB is based on Kailh Red switches and offers RGB on a per-key basis, all customizable via included software. An included magnetic wrist rest also has an LED strip to match the keyboard. There are five dedicated macro keys and a total of 108 programmable macro keys to go along with profile control keys for easy switching between games. USB pass-through ports are also present, allowing for convenient charging of devices during gameplay. There is also a 3.5mm passthrough. This one will come in at an MSRP of $149.99. Moving on to the V730, which Patriot calls “the perfect starter” keyboard, with an MSRP of $79.99. 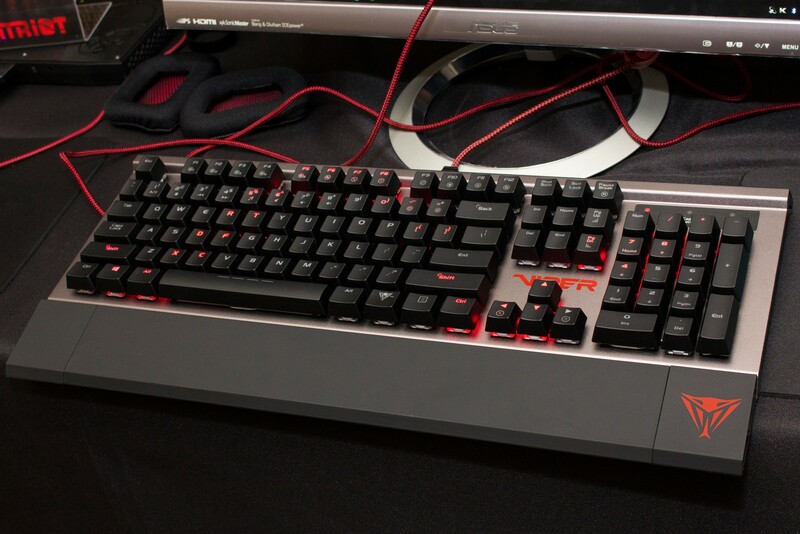 The V730 features Kailh Brown switches, wrist wrest, red LED lighting, and metal body design. Although not full RGB by any means, the V730 offers five lighting profiles to dazzle the eyes. No gaming setup is complete without a good mouse. To that end, Patriot announced two this week in the Viper V570 RGB and V530 LED. 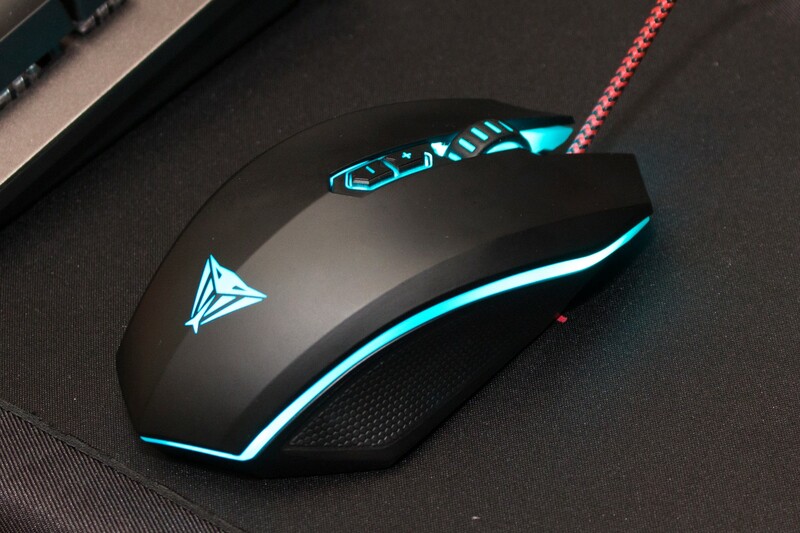 Patriot claimed the V570 was designed with both FPS and MMO in mind to be even more versatile than the previous generation Viper mouse with 13 programmable macro keys. It offers quick access buttons as well as advanced DPI-related features, like Auto-Speed adjustment and four-level DPI indicator, via an Avago 9800 laser sensor. From a comfort perspective, the V570 has 35g of adjustable weight and ceramic foot pads for smooth gliding. Last but not least, the full RGB is controllable via software like the other devices mentioned. As for the more mainstream or entry-level V530, it also features an Avagao sensor, but the 3050 version in this case. For this product, six LED profile colors are available along with seven programmable macro buttons. Both are expected in Q2, despite the earlier press releases issues with Q1 release dates, with an MSRP of $59.99 for the V570 and $29.99 for the V530. Also of interest was a Supersonic Mega 1TB flash drive with 380 MB/s read and 70 MB/s write. In addition, Patriot expects to release a new M.2 storage solution around Computex and perhaps some U.2 and 3D NAND products. As for memory, other than an aesthetic refresh, do not expect anything until Computex. Keep your eyes on the frontpage for more goodies from Las Vegas!